This is a “swing for the bleachers” type of service that is designed to make money from the smallest yet most explosive companies on the market – small-, micro-, and ultra-micro-cap energy stocks. Kent will be pick from the entire landscape of the micro energy universe, wherever there’s a fortune to be made. He offers one trade a week – sometimes less, sometimes more – via email. 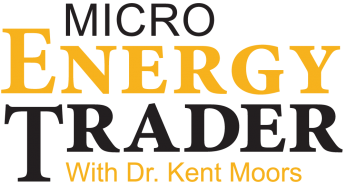 To see how you can get immediate access to Micro Energy Trader and all its features, click here.